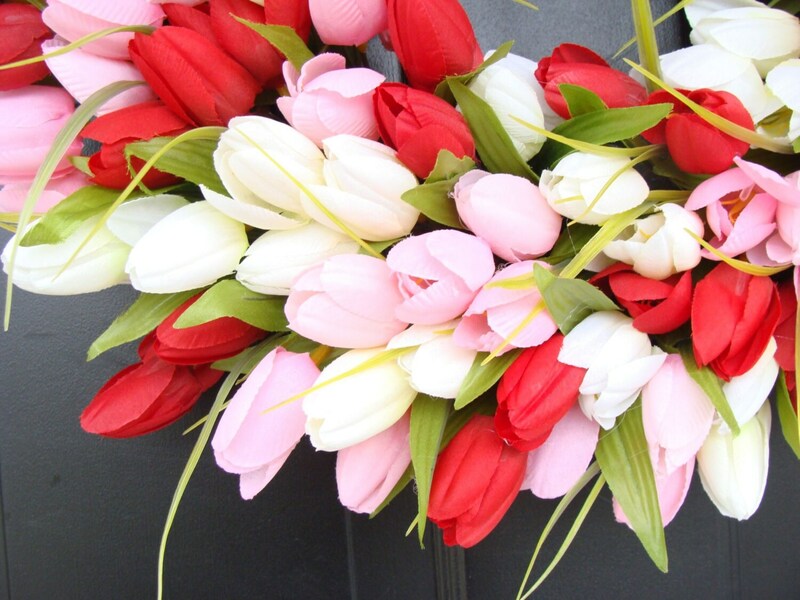 A plethora of tulips are used to create this stunning tulip wreath. 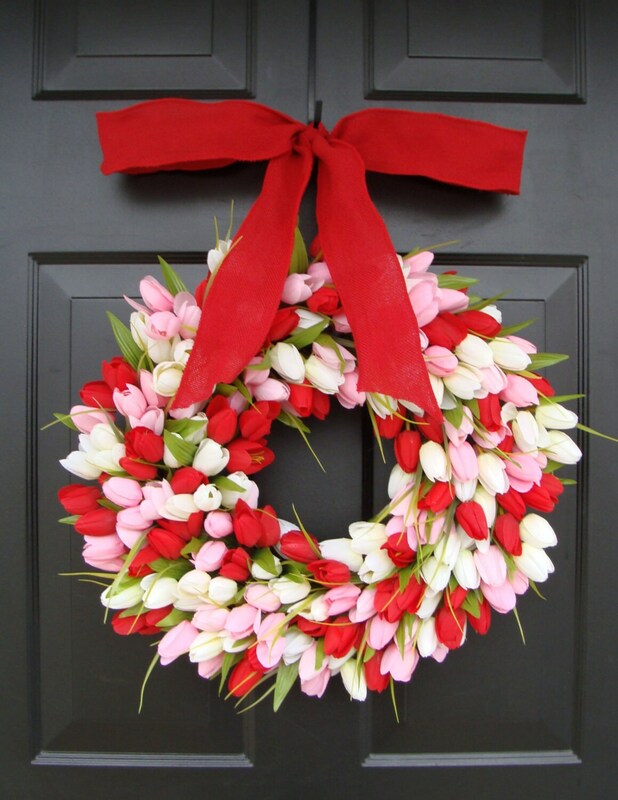 Measuring 18 inches wide from the edge of each flower, when adding a beautiful ribbon, the height of the wreath is 23-24 inches. We recommend that you physically measure your space to determine the best size to order. 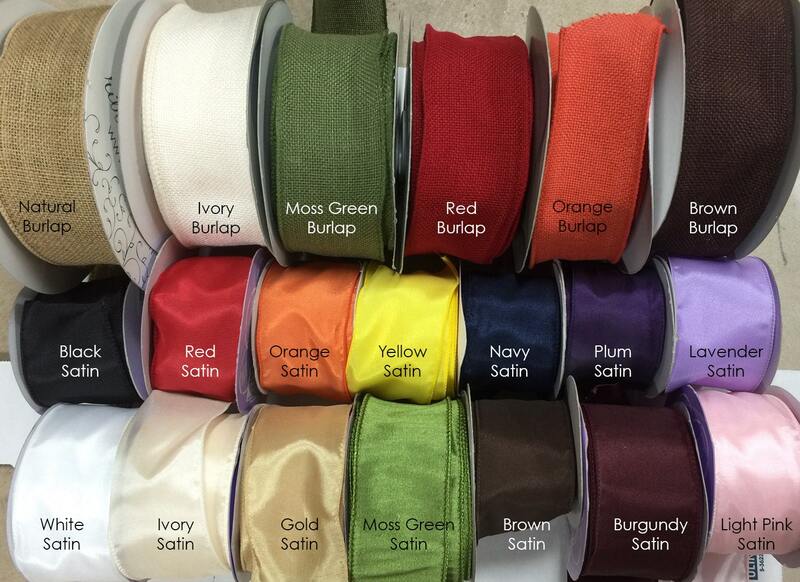 ***** Write your BOW COLOR CHOICE in the comments section at checkout please!!!! 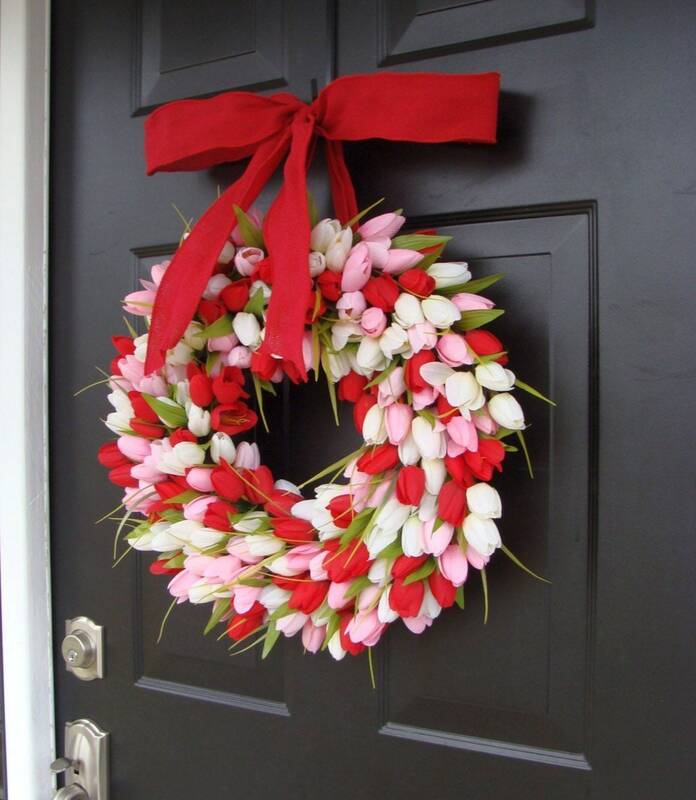 This wreath is BEAUTIFUL and really well made! Looks amazing on our front door! Excited to show it off for a Valentine’s Party we are hosting this weekend! 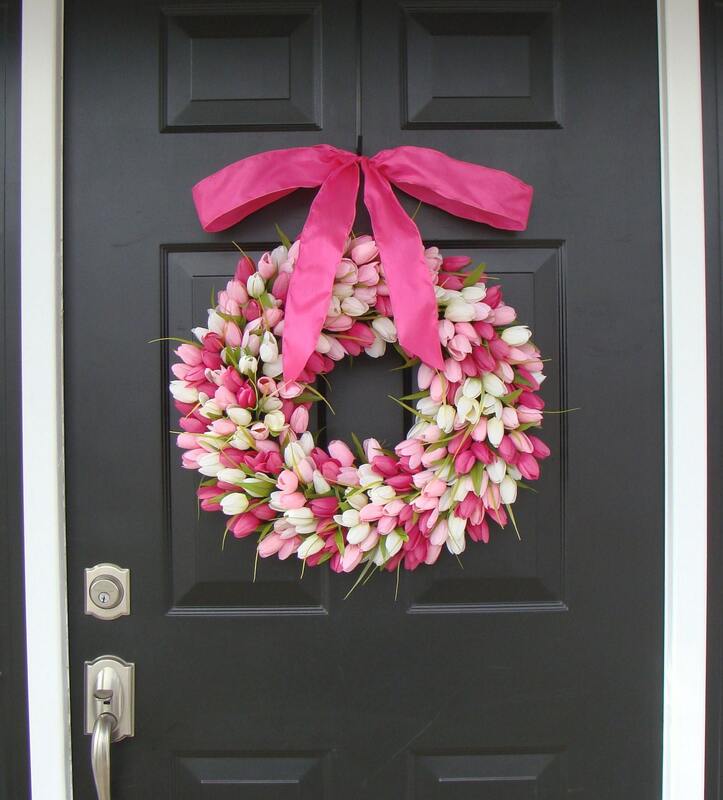 Beautiful, full wreath. I have already received multiple compliments from neighbors passing by.